If you are looking for a screen recorder for your macOS X, then you are in the right place. In 2018, we have reviewed and compared some of the best screen recorders for Mac in terms of recording and editing video. These great screen recorders can be used for creating how-to tutorials, product demos or software simulations perfectly. ActivePresenter has been known as one of the most powerful screencasting software for both Windows and Mac. With lots of unique features such as recording full high definition video, adding various kinds of annotations, editing video and export into various format quickly. In ActivePresenter 7, you can also record webcam, use Chroma key effect as well as dozen of elearning templates for creating responsive e-course. 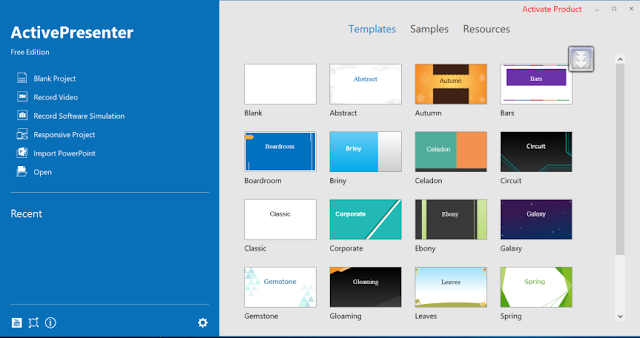 If you are looking for all-in-one program for your work, don't hesitate to try ActivePresenter. Read full review here! 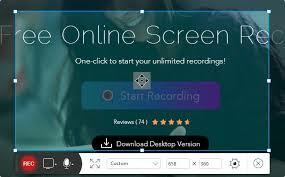 Well, Apowersoft free online screen recorder offers great screen recording tools with full screen, customized part, recording webcam with audio and system sound. You don't have to download and install this program like ActivePresenter. All you need to do is access starting page of Apowersoft and start doing what you want. This app does have real-time drawing tools which you can annotate the screen during recording. It is also possible to edit and share your recordings directly to YouTube or Vimeo with your log in account. Read full review here! For recording game or streaming video on macOS X, you can absolutely use OBS Studio. It is as powerful as any other game recording software in the world now. More important, it is open source and completely free to use. You can record video, take screenshot, add your own watermark, record your webcam, add text to video and many more. Read our review here! Talking about screen recording software for macOS X, we can't forget Camtasia Studio. 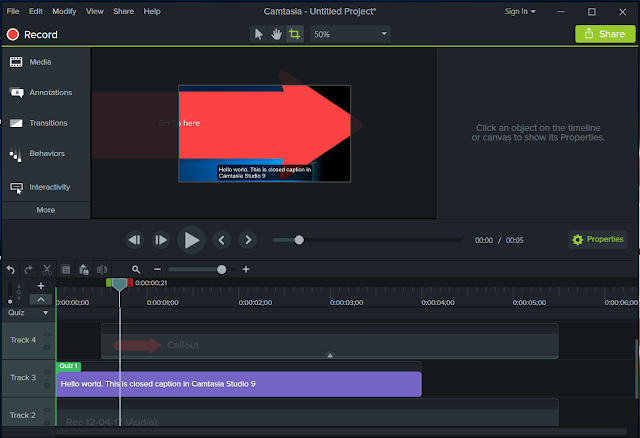 Although the price for Camtasia Studio 9 is not cheap, its powerful and unique features can satisfy even the hardest users. Camtasia lets you record video in full hd quality with webcam, system sound or audio from your microphone. 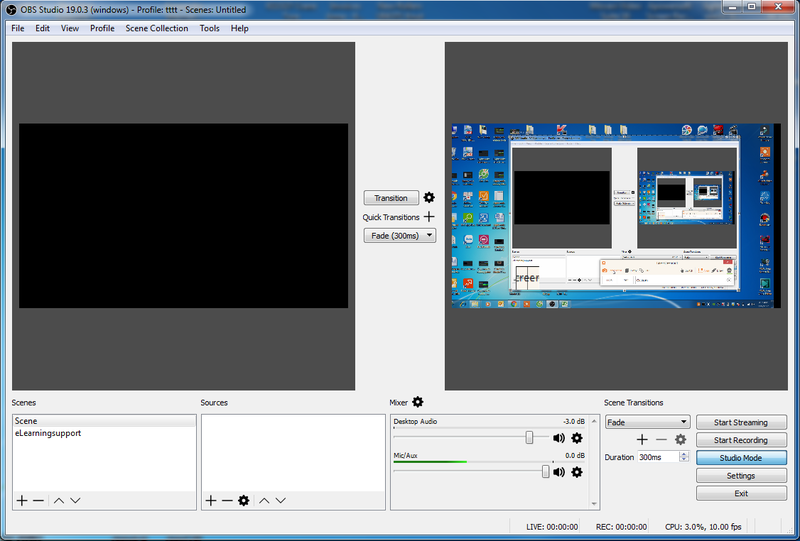 The program also comes with very simple to use video editor. The editor comes will lots of advanced features that you can only get in professional film makers. Read our review here! There are only few great screen recorders for macOS X available for you to try in 2018 as suggested above. Although there are some other free options you can find on the internet, they seem to be too simple that we don't want to put them in this list. If you know any good screen recorder, don't hesitate to share with us. 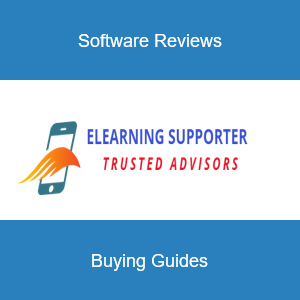 The orginal post appeared on elearningsupporter. Read it here!